Hi, I was planning on continuing with my Chinese Cuisine Series, but my mom, rather belatedly reminded me that it was actually Mid- Autumn Festival. So, instead of the planned post, I will be talking about this very special and delicious holiday. Yay!!! 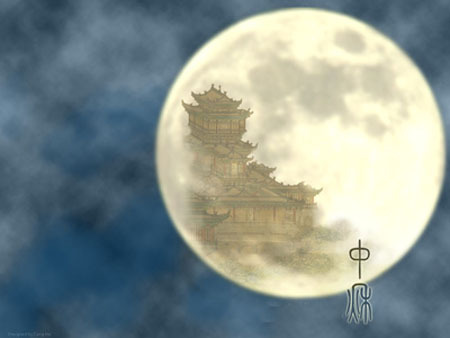 Mid- Autumn festival originated in China but is actually celebrated all over Asia- for example in Vietnam and Japan. Its supposed to celebrate the day when the moon is it’s largest- hence the name Moon Festival. It is also called the Reunion Festival as extended families often gather together to celebrate. In China, it is celebrated on the 15th day of the 8th month of the lunar calendar, this year- September 27th. On this day, families all over China will enjoy a large, delicious dinner, followed by plates of fruit and eat moon cakes while watching the moon and socializing. As with most Chinese stuff, the Mid- Autumn festival has a long history. It probably started with royal sacrifices to the Moon during the Autumnal equinox- the first of these recorded during the Zhou dynasty. Later, as China became more socially prosperous during the Sui and Tang, the common people also began observing similar rituals. 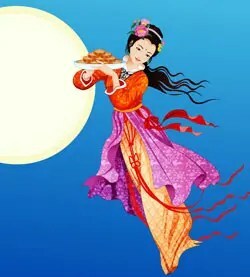 By the Northern Song period, Mid- Autumn festival had become a recognized folk festival. There is also some very interesting folklore that goes with it; you can read more here. Moon cake is probably the 1 item that everyone thinks of when talking about Mid Autumn festival. They consist of a pastry crust baked with an assortment of dense fillings. These fillings can be sweet or savory. Some traditional fillings are red bean paste, lotus seed paste, date paste, roast pork and an assortment of nuts and seeds. Some also contain a salted egg yolk. More modern takes include ice cream, various fruits, green tea and even seafood. These days, moon cakes are sold anywhere and everywhere- a tragic- albeit economically beneficial- case of tradition falling to commercialization. The Chinese love fruit so I thought I should dedicate a paragraph to fruit. Any fruit is game, but 2 of the most special are pomelos and persimmons. Both are just in season during the festival and they both represent luck and prosperity. According to tradition, people give each other these fruits to represent good wishes. The caveat: Don’t bring 4, as 4 is a homophone for death in Chinese. 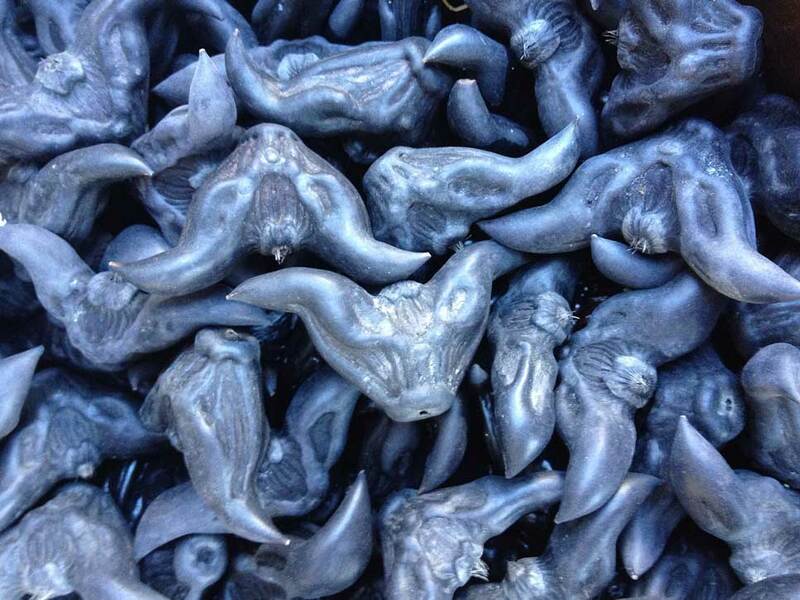 This horn shaped plant has been associated with moon worship since the early Zhou dynasty. 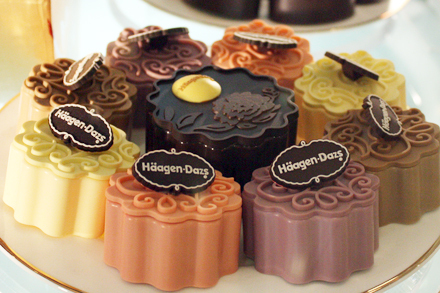 Not surprisingly, they continued to be eaten during the Mid Autumn festival. 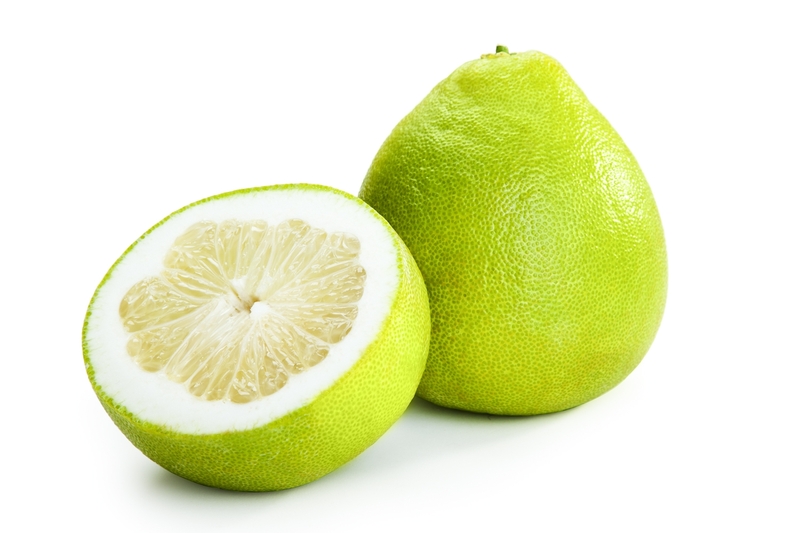 However, due to human activities, they are now near extinction in the wild and must be cultivated in farms. Luckily, the farming efforts succeeded and the Chinese can enjoy their chestnuts- dried, boiled or raw.